PC version reviewed. Playthrough was done using a Xbox One controller. When People Can Fly, the developer behind 'Bulletstorm' and 'Gears of War: Judgment,' went away, three of the studio's original founders re-emerged as The Astronauts. Their first game has no guns, takes itself very seriously and binds itself in no way to a parent company. 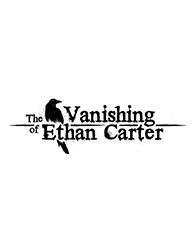 Free to explore to their hearts' content, 'The Vanishing of Ethan Carter' is presented as a rebellion to expectation, a weird fiction-inspired, first-person detective tale less about killing than the consequences of an act so horrific as taking a life. "We believe that video games have the potential to be the ultimate form of art," reads The Astronauts' website. Now's the time to prove it. Much is made of the way video games tell their stories. They don't have to be the important, driving thing in their respective games, they mostly need only serve the minor purpose of propelling the player through the gameplay, and yet there's a bubbling potential currently in the process of exploding. 'The Last of Us,' 'Journey,' 'The Walking Dead'' and others tell their stories in unique, yet newly effective ways. 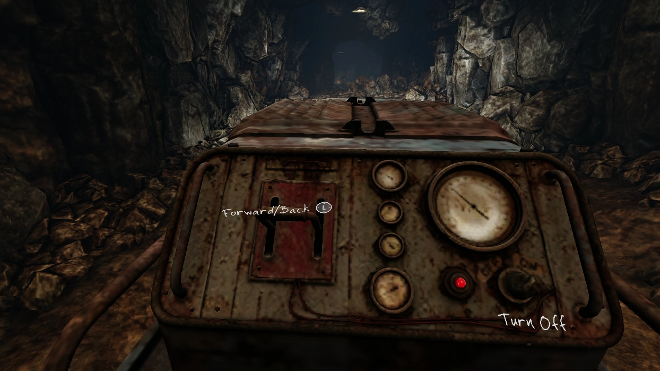 'The Vanishing of Ethan Carter' deserves a spot on that list. Though there are flaws in the design, 'The Vanishing of Ethan Carter' is a bold, intelligent step towards not an ideal of narrative in games, but an ideal of narrative as games, and in turn, games as narrative. It's all wrapped up in what can often feel like a slight or tepid end product, but I'm left with the feeling that The Astronauts have unlocked a strikingly new way to tell stories, that video games are just the tool to get you to the finish line if the artist at hand wants it to be the case. As Paul Prospero, a private detective imbued with some sort of supernatural sense, you're simply dropped into weird-fiction/horror scenario at the post-marked request of a young, troubled boy – Ethan Carter. His isolated home and family in the desolate but beautiful fictional Red Creek Valley are in need of Prospero's particular talents for reasons that grow darker, more horrific and more suspenseful as the 3-4 hour campaign unravels. In essence, you're following a trail of bodies in hopeful search of Ethan, which is as far as I'll say for the sake of spoilers. The story itself, a sly mix of supernatural and familiar horrors, never really treads over new ground. It's the tale of Ethan's specific brand of boyhood anxieties, apprehensions and consolations. He takes refuge in his own written stories in place of a disparate, inattentive and sometimes abusive family unit. Scattered about are these short, heart-breaking tales, both a reflection of Ethan's perception of his own reality, and a fantasy of how he might fix the broken people around him. All the while Prospero jumps from murder-scene to murder-scene in a contemplative, but deliberate, pace. It's not how all these things are written down, though, that makes them compelling. It's how they're shown in a way only video games can do. The first thing you'll see as you boot up the game is a warning from the developers – "This game is a narrative experience that does not hold your hand." Take heed, and the reward is potentially profound, as I've concluded it to be. If expecting to sleepwalk through the exploration and puzzles, and the game will most certainly fall flat. With this expectation of player agency and commitment fulfilled, Prospero's supernatural sleuthing skills become a remarkably effective, sneakily subtle way of seeping Ethan's troubled tale under the skin. 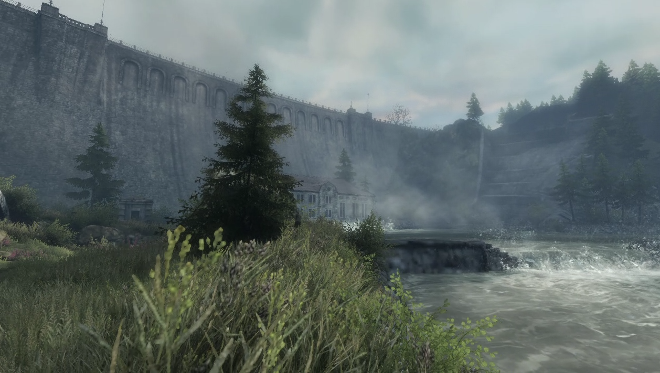 'The Vanishing of Ethan Carter' is technically an open world, but it constantly leads the player through on a fairly straightforward path. On rare occasion did I miss a signpost of some sort – a curving road, a door to open – venturing away from the objective. Only infrequently does the game's refusal to show the way result in a bit of frustrated wandering. Mostly, though, an explorative spirit is bound to find the way. Come upon a dead body and Prospero's "senses" start kicking in. White-font words will float in the air as a representation of his detection, guides drawing Prospero to and fro the scene from one object-of-interest to another. Once the whole thing's been surveyed, often after scrutinizing the lush environments, Prospero needs to set the scene in such a way as to sort of focus the chronology of whatever happened and uncover whatever truth needs to be uncovered. Replace a dagger, move an elevator the right floor, light a cavernous hallway. Forced to scour these impeccably detailed environments, I found as much character in the setting as I did in Ethan himself. This wilderness home of the Carters' sets a somber, yearning tone. Once the "clues" settle into an amicable position, the world turns a spiritual blue, tasking Prospero with correctly ordering still shots of the crime, represented by ghostly figures frozen mid-act in the world itself. Without much of a HUD, solving these mysteries is a very tangible experience, the resulting gift of a cutscene all the more involving because of it. I could just about feel the emotional pain so often portrayed in fictional figures with similar abilities, getting so close to horrors and human atrocities like the acts were of my own doing. It clicks in a way that so many films and TV shows fail to click. Less appealing, but in no way detrimental to the overall purpose of the game, is Prospero's narration. He tends to voice out his innermost thoughts, but most of those thoughts are of a vague, "I can feel the darkness, cue metaphor" sort of way. It never felt like a failure or a burden, listening to him, but his voice never felt nearly as important as Ethan's. 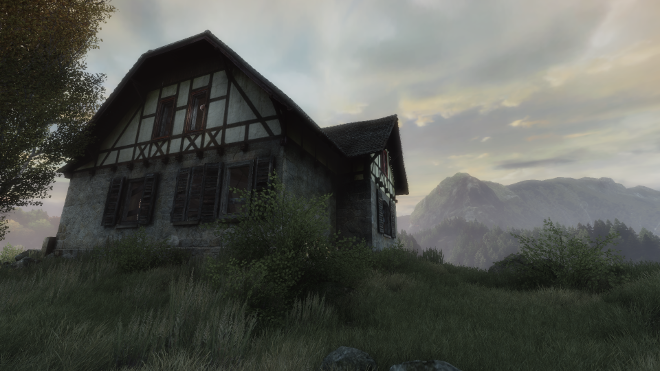 When Prospero extends his abilities to interpret Ethan's own imaginative psyche, instead of simply solving a crime, 'The Vanishing of Ethan Carter' shows its true heart. Taking the whole floating word motif and extending into more creative puzzles, visually and in construction, is how The Astronauts tells the game's story. It's an interpretation of script far beyond an emotive actor or cutscene could ever do. An early puzzle – build a run-down house by approaching each door frame and cycling through the image for the encased room. Complete the build and, like the investigations, be rewarded with an intimate peak, Ethan's own perspective on a mismatched house. No instructions float across the screen. You're only given the tools and the expectation that you have a brain. Perhaps most brilliantly of all, the act of solving these puzzles are interpretable in the context of the story too. At least, that's how I chose to see it. I fear detailing too much this integral side of the game, because the surprise of these turns and the intricately planned dispelling of vital information along the way by the developer is so important to how Prospero and Ethan connect even when they haven't met. Just know that the team takes wonderful advantage of gaming's unique ability to warp its own perceived reality, all without a single tutorial, erratic shift or alteration of the central mechanics. You're always solving a mystery, you just won't know whose mystery it is until it's solved. Red Creek Valley is a beautiful and detailed place, rewarding any wandering with picturesque backdrops, forests swaying in the wind and hauntingly vacant buildings. An autumn palette signals the place's dark change, and never in doubt is Ethan's peril. The Unreal Engine supports The Astronauts' ambitious vision for this small world, but in reach of extreme technical achievement, my less-than-optimal PC sometimes struggled to render a completely fluid experience. Textures popped and the frame rate grew choppy the more trees I fit in-screen. For a game so brief, however excellent, I'm not sure asking for premium specs was the best choice. That said, I'm not going to count that against the game. It's gorgeous, granted you've already invested in gorgeous games. The score transitions seamlessly from eerie to hopeful, granting ever more context to the surrounding environments and mysteries. A small, almost optimistic theme seems to backpack off Ethan's own hopes and subverting despair. Like the detective mechanics, the music is designed in expert coalescence with the game's themes. The voice acting is serviceable at worst, though never all that enticing. The words are rarely as important as the images splayed across the screen, so it's no surprise top-notch talent wasn't recruited. There is only one story here, so as a narrative experience it's worth about two playthroughs. The second, as in any good book or movie, is informed by the first.